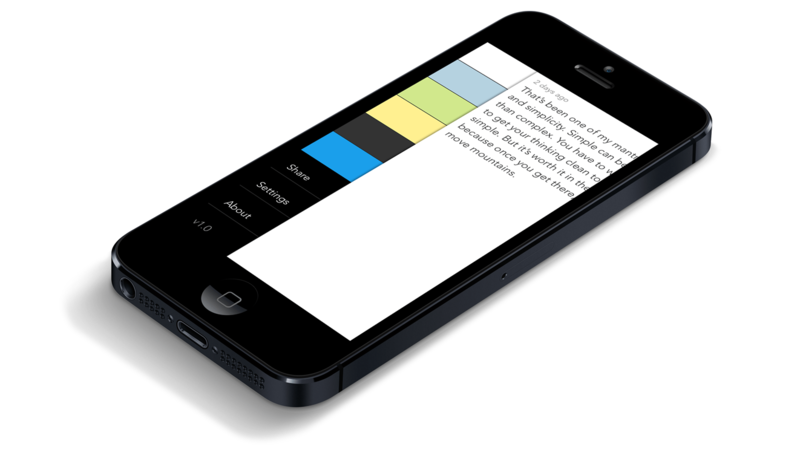 Noted • A simple gesture-driven note app for iPhone and iPod Touch. Capture your thoughts with Noted, a simple gesture-driven note app. Available for iPhone and iPod Touch. Pull to create a note. Pinch to see all notes. Swipe keyboard down to dismiss. Change note colors and share.